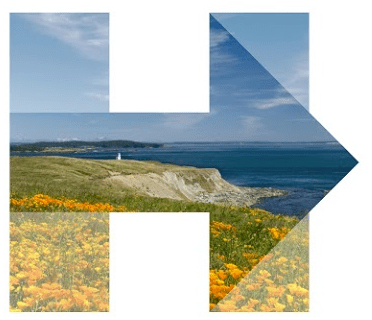 Los Angeles, CA – Hillary for California is announcing several new hires in northern and southern California who will expand the campaign’s ability to reach more Californians and talk about Hillary Clinton’s plans to break down barriers and move the country forward. Hillary for America has brought on Laphonza Butler and Ace Smith as Senior Advisors, Nicole Derse as Senior Advisor for Organizing, Willie Pelote as Senior Advisor for Labor, Courtni Sunjoo Pugh as Deputy State Director, Cecilia Cabello as Deputy Political Director, Jared Rivera as Labor Director, Arielle Goren as Press Secretary overseeing Northern California media operations, and as Directors of Organizing Jessica Lovejoy in Northern California and Saskia Young in Southern California. The campaign is building a robust team of experienced political strategists who are committed to engaging voters across the state to win in California. “It’s a testament to Hillary Clinton’s leadership that she has brought together such a diverse and talented group of political leaders to work on her California campaign. We look forward to working alongside thousands of grassroots activists, working families, women, communities of color and students across the state to ensure victory on June 7,” said Buffy Wicks, Hillary for California State Director. Laphonza Butler is an nationally recognized labor leader and activist. She currently serves as President of SEIU Local 2015, which represents 325,000 in-home caregivers and nursing home workers in California. Butler also serves as President of the SEIU CA State Council, representing more than 700,000 workers. Ace Smith is a 30-year veteran of state and national politics and has directed winning campaigns from district attorney to president. Smith served as Hillary Clinton’s California State Director in her 2008 presidential primary bid. With more than 15 years of experience, Nicole Derse, is a seasoned and talented political organizer. In 2015, Derse was awarded the American Association of Political Consultants’ prestigious “40 under 40 Award” for her work leading successful campaigns throughout California and across the country. Willie Pelote is a renowned political and legislative advocate for working families. He served as legislative advocate for AFSCME, representing 1.6 million members, including: nurses, correctional officers, child care providers, and nearly 100 different occupations, for two decades. Pelote currently serves as a consultant for the California State Assembly. Courtni Sunjoo Pugh is a veteran political strategist and community organizer. Pugh is a Partner at Hilltop Public Solutions where she heads all California-based operations for the firm. In this role, she serves as Senior Political Advisor for Senate President pro tem Kevin de Leon. Earlier in her career, she held senior posts on the John Edwards for President and the Kerry-Edwards campaigns. Cecilia Cabello is a veteran political operative, having most recently served as Director of Intergovernmental Affairs for Los Angeles Mayor Eric Garcetti and as a Vice President at Mercury Public Affairs. Earlier in her career, she worked as legislative deputy to then Council President Garcetti and Congresswoman Hilda Solis. Arielle Goren is a political communications expert with more than a decade of experience working on Capitol Hill and in state and local government. She previously served as speechwriter for former Los Angeles Mayor Antonio Villaraigosa and New York Governor Andrew Cuomo. Jared Rivera worked to expand affordable housing in Los Angeles and led efforts to promote immigration reform and citizenship across the city at PICO National Network. He joined SEIU CA in 2010, where he championed the passage of Prop. 30 and coordinated SEIU CA’s Republican PAC, the Golden CA committee. Jessica Lovejoy specializes in field management and campaign communications. She served as campaign manager for San Francisco’s Supervisor Malia Cohen’s re-election campaign, and worked on Shamann Walton for San Francisco Board of Education campaign. Lovejoy also served as Deputy Field Organizer in President Obama’s re-election campaign. Currently, Lovejoy is an associate at 50+1 Strategies. Saskia Young began her organizing career as a Deputy Regional Field Director for the 2012 Obama campaign and served as State Lead for the 2012 Presidential Inaugural Committee and as Climate Issues Organizing Lead and State Grassroots Fundraising Director for President Obama’s Issue Advocacy non-profit, Organizing For Action.